The mandate for the Investigation was to cover the period from February 2002 to November 2011. There was the Ceasefire Agreement of February 2002. The Report is organized in a series of chapters under headings like “Unlawful Killings; ”Violations related to the depriving of liberty; Enforced Disappearances; Torture, Sexual and Gender based violence; Abduction and Forced disappearances; the recruitment and use of children in hostilities. There is also documentation on the impact of hostilities on civilians in the final few months of the conflict, by way of controls on the movement or civilians and the denial of humanitarian assistance. The Report states that the OISL conducted a Human Rights investigation and not a criminal investigation. But it states that it sought to identify the patterns of large scale violations of International Human Rights and the humanitarian law. They were says the Report executed by a number of persons with a hierarchical command structure and may constitute war crimes and crimes against humanity if established in a Court of Law. It also refers to the impunity with which these violations have been carried out and points out that the victims and relations of such victims have been prevented from exercising their rights to truth, justice and reparations. The mission points out that it was not given co-operation by the government which rejected the Investigation. It says the government resolved not to co-operate in the investigations. International Human Rights Law applies both in peace time and in conflict. Both International Humanitarian Law as well as International Human Rights Law applies in situations of armed conflict even domestic conflicts. International Humanitarian Law protects civilians and those not directly participating in the hostilities. It also regulates the means and methods of warfare by restricting the use of armed force to the amount necessary to achieve the aim of the conflict which is to weaken the military potential of the enemy. So all parties to armed conflict are bound by the rules of International Humanitarian Law whether Sri Lanka is a Party to the Geneva Conventions of 1949. Common Article 3 of the Four Geneva Conventions is applicable to Sri Lanka. The Humanitarian Law prohibits direct attacks on persons not taking direct part in the hostilities. It prohibits cruel and degrading treatment and Torture. Parties to the Conflict are also bound to distinguish between civilians and civilian objects and lawful military targets. Civilians are to be protected from direct attack. The principle of Proportionality applies with respect to attacks that could cause loss of life to civilians. The Principle of Precaution requires all parties to avoid any incidental loss or injury to civilian life and property. There is also an obligation to avoid locating military objectives within or near densely populated areas as far as possible. Parties also have to respect medical units and medical transports and not attack them. The obligation of a party to observe international humanitarian law does not depend on the similar observance by the opposing party. Common Article 3 of the Four Geneva Conventions require all those Parties to a conflict to respect the Four Geneva Conventions in all circumstances. Article 3 applies these Geneva Conventions not only to international conflicts but even to domestic conflicts. Sri Lanka is a party to the Convention against Genocide of 1948 and must give effect to the provisions including trying and punishing those guilty of genocide. The objective of the Convention is to prevent minority groups from being targeted to prevent their reproduction. States are obliged to ensure accountability for gross violations of Human Rights law and serious violations of International Humanitarian Law. States are required to take effective action in law to bring to justice those who have committed crimes under the International Humanitarian Law. States are required to provide victims with effective remedies and receive reparation for injuries suffered. States must also ensure the inalienable right o know the truth about violations and take steps to prevent a recurrence of violating of Human Rights. Military commanders and superiors may have to bear criminal responsibility for crimes that are directly committed, ordered or investigated and also for crimes perpetrated under their command or effective control. International crimes include war crimes and crimes against humanity. Inhuman acts which cause great pain or suffering or serious injury to body or to physical health if committed on a widespread scale may constitute crimes against humanity and even war crimes when committed against the civilian population in a widespread or systematic order. 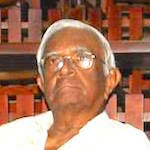 Sri Lanka is a party to the Convention on the Prevention and Punishment of Genocide of 1948. The Convention requires States to provide legislation against genocide and punishments for them. The target for such conduct must be national, ethnic, racial or religious groups. There must be the intention to destroy in whole or in part the targeted group of people. Torture is prohibited as well as other cruel, inhuman or degrading treatment or punishment.